This article applies to other RG products as well. 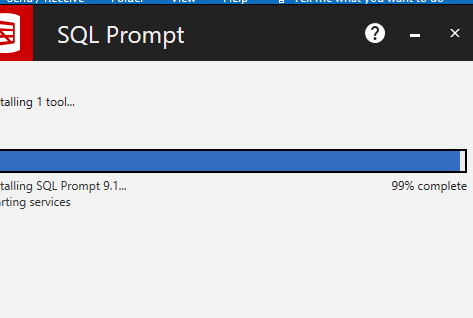 If your upgrade installation is stuck at 99% and then fails after few minutes, there is usually an issue with Redgate Client service upgrade. Please go to C:\Program Files (x86)\Common Files\Red Gate\Shared Client, delete any files named .rgupdate_bad_x.x.x.xxxx ​ and try again. Should problem persists, please click the Redgate logo at the top left corner of the installation UI and log a ticket with Support.